Resolution in the game is equal to the resolution of the desktop. 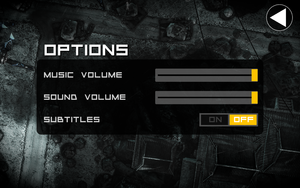 If you want to play in 4K (and in any other) you must set 4K resolution (and any other) on your desktop. Force off in the graphics driver. Open <path-to-game>\d3d9.ini or %USERPROFILE%\Documents\My Mods\SpecialK\Profiles\AnomalyKorea.exe\SpecialK.ini depending on the installation method you used. Change Center=false to Center=true under [Window.System]. Works in the menus, but not during gameplay. This page was last edited on 13 April 2019, at 21:49.